An unexpected blessing is always the best gift! Congratulations on the new baby! May U guys have many more! 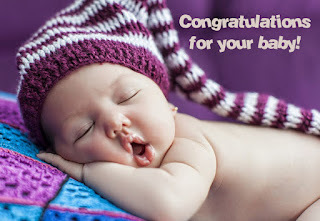 Good to hear ur havin' a baby Congrats! Cigars on me! A warm message to wish the new parents on their new found joy. People vanish, people die. People laugh and people cry. Some give up, some will try. Some say hi, while some say bye. Others may forget, but never will I. • Q: What's the difference between a Kiss, a car & a monkey?A: A kiss is so dear, a car is too dear & the monkey is U dear! • Our friendship is like playing on a see-saw, not only because its always fun being with u but also because I won't mind going down to see u rise. • Some friends r worth 2b thrown, some r good 2 keep, some r 2b treasured 4 ever. I think u r the one 2b thrown in the treasure box 2b kept 4 ever. • When you are counting all your friends, the oldest, the best & the new... I wud like to stand by ur side & say two little words..."ME TOO"
• Friendship is like peeing in ur pants. Everyone can c it but only u can feel its true warmth. Thanks 4 being the pee in my pants. • A friend is sweet when its new but it is sweeter when its TRUE! But you know what? It's sweetest when its you. time to run, everything’s new under the sun. Wishing you all the joys of discovery a baby brings to your world. Hey baby you come in this world. I hope you will be happy to have such great parents. Dear friend you are looking old. and your youth has a pause now. son be of your height. Hope you are really happy to have a baby boy. I m watching a slight beam on your face. Its the happiness of having a baby doll. This doll is a pleasant gift of God for both of you. All of you came here for wishing us baby’s birth, we are very thankful for all of you to give such a precious love to our baby. No doubt celebration of baby’s birthday is very special time and this time became more beautiful and awesome when you joined it. We parents of the baby want to thank all of you. for U & ur family! Eat healthy & eat 4 2! Congrats to U & ur hubby! I'm so happy for the 2 of U! U have a lil one on the way! Sister is some one who is caring & sharing. Sister can understand things u never said. She can understand pain, which is not visible 2 any1. I luv my sister. Rakhi Greetings & Best Wishes for You. Thanks dear Bhaiya for your warmth affection & ur understanding May our bond of love remain forever.